2018 was a huge year for Superman fans, what with the character celebrating his 80th anniversary in the pages of Action Comics #1000, acclaimed writer Brian Michael Bendis taking the reigns of both the Action and Superman comic titles, and the 40th Anniversary of Superman: The Movie. But 2019 looks like it won't be no slouch either! Take this month, for example. 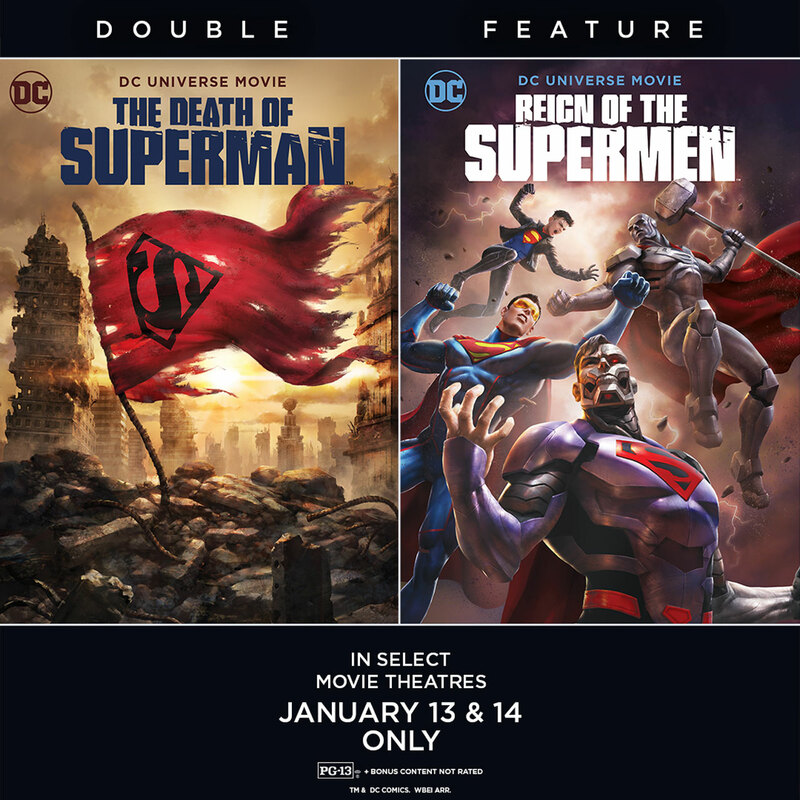 Devotees of the Last Son of Krypton can catch a double-feature screening of last year's The Death of Superman animated film (which you can watch now on DC Universe) and the soon-to-be-released follow-up, the brand-new Reign of the Supermen movie -- which will also debut this month on DC Universe! The screening will be hosted by Fathom Events, and you can visit the Fathom Events website now, or participating theater box offices, to purchase tickets. The films will screen in more than 500 select movie theaters on Sunday, January 13th, at 12:55 PM and on Monday, January 14th, at 8:00 PM (all local times). Then, on January 15th, Reign of the Superman will have a Digital release via Warner Bros. Home Entertainment. On January 29th, the film will be available as an Ultra HD Blu-ray Combo Pack and Blu-ray Combo Pack. Best of all, also on January 29th, Reign of the Supermen will be available to watch right here on DC Universe. Later this year, Warner Bros. Home Entertainment will release the two movies as a "single, full-length film with never-before-seen extended footage and a collectible item within the box set." 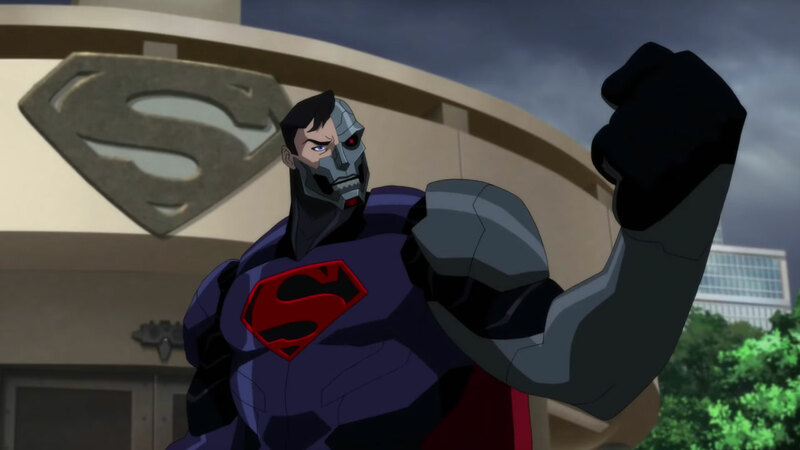 To celebrate all this goodness, check out this new clip from Reign of the Supermen featuring Superman's pal Jimmy Olsen and the most famous of the film's four new Supermen -- Steel. And be sure to read the original and complete "The Death of Superman"/"Reign of the Supermen"/"The Return of Superman" saga on DC Universe, as it was originally published in Superman, Action Comics, Adventures of Superman, and Superman: The Man of Steel. 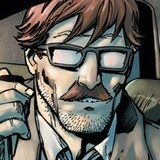 Are you looking forward to Reign of the Superman? Let us know in our Community!